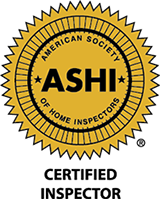 ASHI certified inspectors have reached the highest level of membership in the American Society of Home Inspectors, and must adhere to their strict regulations, so you know your home is being inspected to a higher standard than other inspectors. This badge is given to recognize the professionalism and quality of work that is referenced in at least 50 written customer reviews, without a single complaint filed in the previous 6 months. 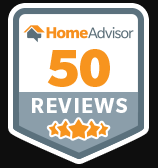 Lakes Area Home Inspections is committed to great customer service and it shows in the reviews written by our many satisfied clients. When a business applies for membership in the Home Advisor network, they are subjected to a detailed screening process, including verification of applicable licensing, a criminal records search, a legal search for civil judgments, and identity verification of the business owner. 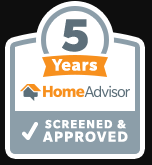 This badge shows that Lakes Area Home Inspections has passed their screening process and has successfully maintained membership for 5 years. 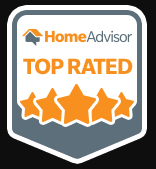 This badge is awarded to companies who have received an overall top rating, and that homeowners would highly recommend to others. Lakes Area Home Inspections inspectors go above and beyond what is required in order to ensure that each customer is satisfied with their experience. We show up on time, are well-prepared, and happily answer any questions the customers may have. This client-centered approach consistently earns us high ratings and referrals to friends and family. 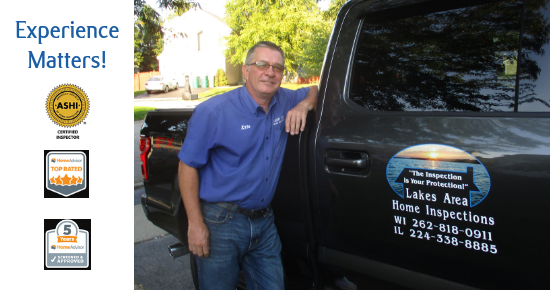 When you need an experienced, high-quality inspector who delivers exceptional results, Lakes Area Home Inspections is the right choice. Call us at 262-818-0911 for more information or to schedule your appointment.